Prague, Czech Republic: Státní nakladatelství dětské knihy (SNDK), 1963. First edition. 120 pp. Hardcover. A rare, unique Czech-language children's book about a child who nurses a wounded bird in his family's urban apartment. 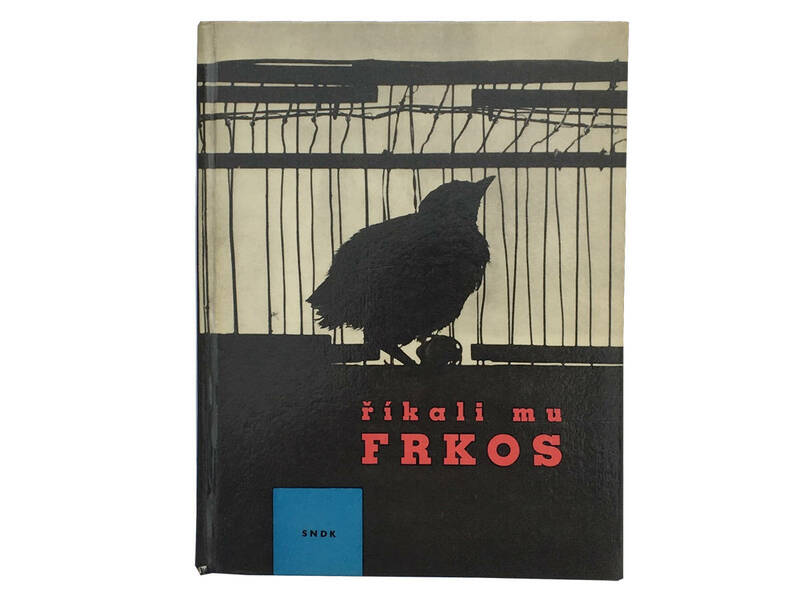 The graphically striking book combines Pavel Kohout's text, Milada Einhornová's photographs, and Pravoslav Sovak's design to great effect; even without understanding the Czech, one is drawn to the stylized design, unique photographs, and, ultimately, the wounded bird Frkos. Publisher's pictorial boards, with original ribbon bookmark. Near fine, edges just slightly bumped and ribbon lightly worn. Gift for my instructor. I'm sure she will luv it! Shipped super quick. Thxs. Thanks very much for these spectacular and rare playing cards ! Thanks much.